Aesthetically Madrid was absolutely amazing, but I actually did not have the best experience there. I hate to seem negative, but realistically, traveling has it’s ups and downs. The museums were extraordinary and the parks were stunningly beautiful, but beyond that my friends and I did not find Madrid to be too welcoming. Traveling can be tough, you’re dealing with different people with different perspectives and that can lead to misjudgment and prejudice. I know plenty of people who have experienced otherwise while traveling in Madrid, so hopefully someday if I do return, I will enjoy my returning trip. 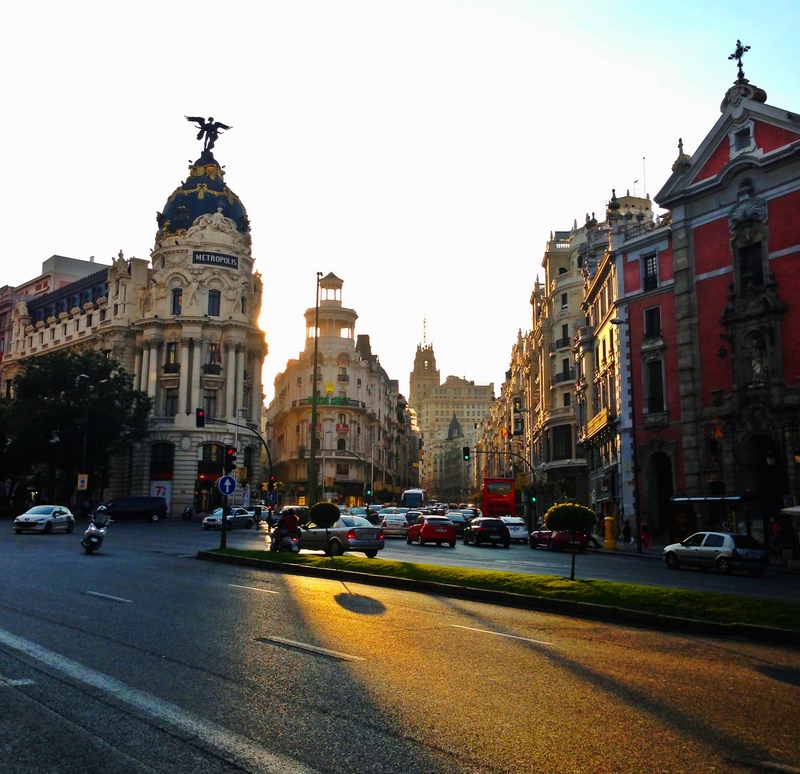 But until then, here’s my take on Madrid, Europe has an abundance of beautiful scenery and many great people, so unless you have a specific need or desire to go to Madrid, I feel like there’s other places I would prioritize first. We began our touristic adventures in the courtyard of Plaza Mayor before heading to Mercado de San Miguel. We regrettably did not eat there, but it was simply mesmerizing to watch the rapid foreign commerce. 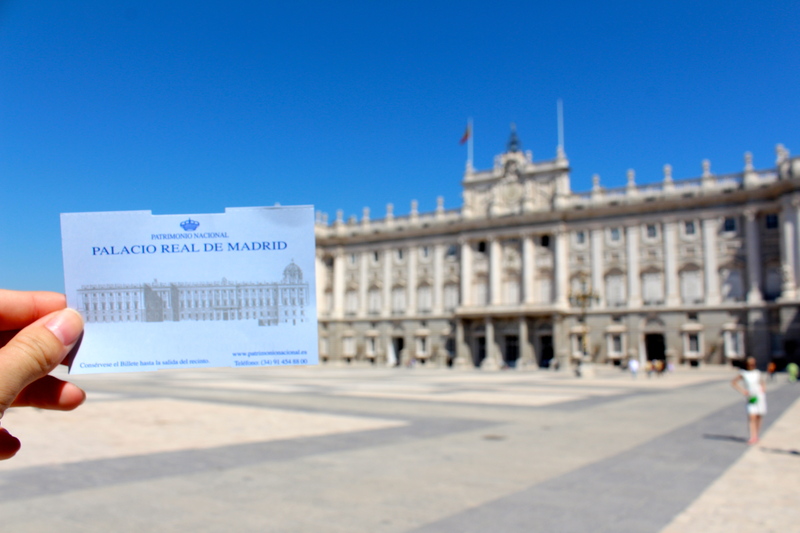 We then walked to the Palacio Real De Madrid. The Palacio was complete with lush gardens and a nice panoramic view of the city. Since we were traveling at the peak of summer, we truly enjoyed relaxing in the shade of the garden for a moment before our continued exploration. Afterwards we continued wandering all over the city, we found some nice shops, and further immersed ourselves in the city. 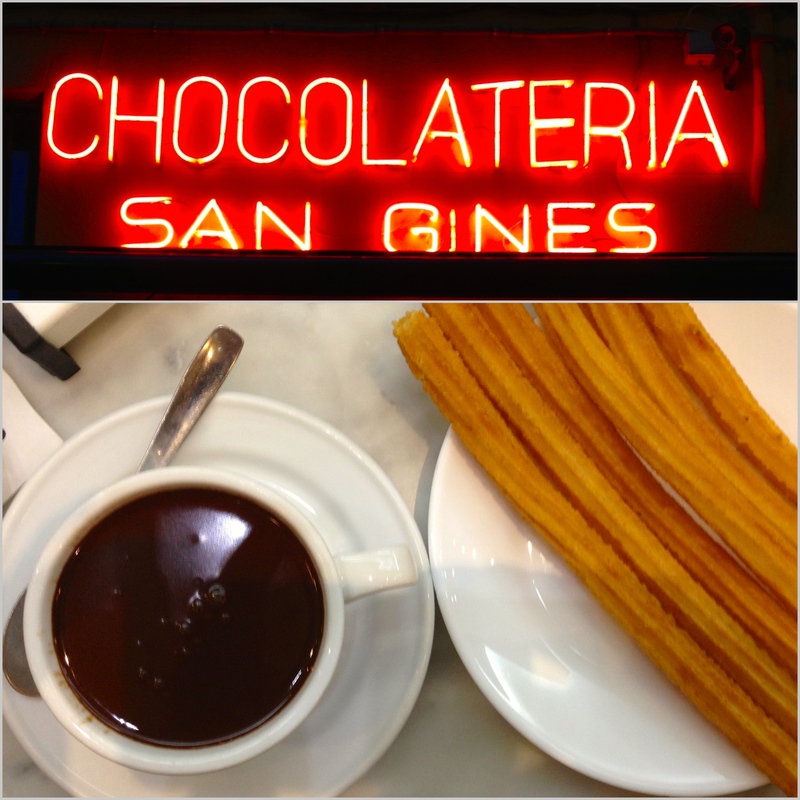 We quickly stopped for dinner at a small, family owned restaurant for tapas, and then we hurried on over to San Gines Chocolateria for freshly baked churros dipped in warm melted chocolate. Needless to say, San Gines was probably the best part of Madrid. Later that night, we sat around the fountain in the center of Puerta del Sol, where we watched a competitive rollerblading team practice and “perform” their tricks. My knees hurt just thinking about that train wreck… I can appreciate the fearless stunts, but I still cringe at the idea of all of the shattered bones and abrasions that we witnessed. 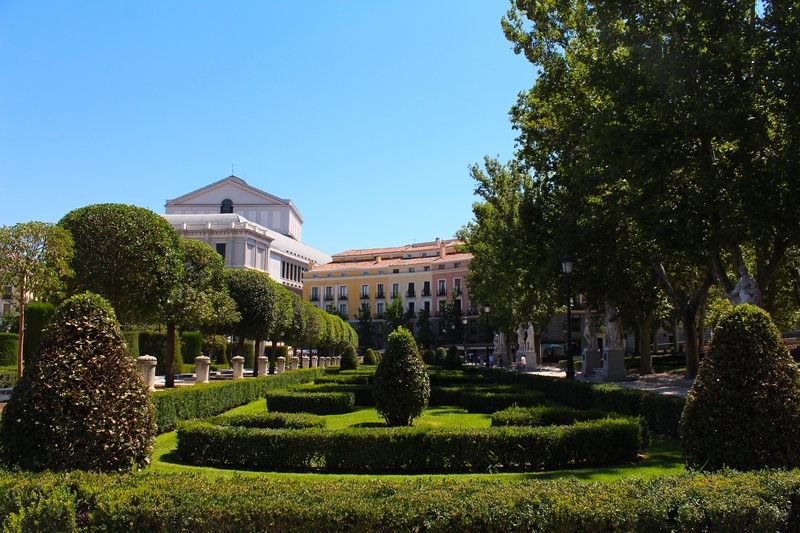 The next day we went to Museo Nacional Del Prado before returning to Puerta del Sol to visit the symbol of Madrid, the Bear and the Madroño Tree. After our touristic adventures, we stopped for a bottle of wine and decided to have a quiet night in. Suddenly, all of the walking and rapid traveling was beginning to catch up to us. We crawled into bed, watched a movie, and just relaxed before our long next few days ahead in Ibiza. Previous Post Embark to Barça!